Enfusoft is a standalone program which enables Designers to build complex graphical patterns quickly. Enfusoft is a processing tool which users import raster based graphics and export raster patterns. Enfusoft comes pre-loaded with a bunch of my Enfu images you can use, or you can import any of your own images. 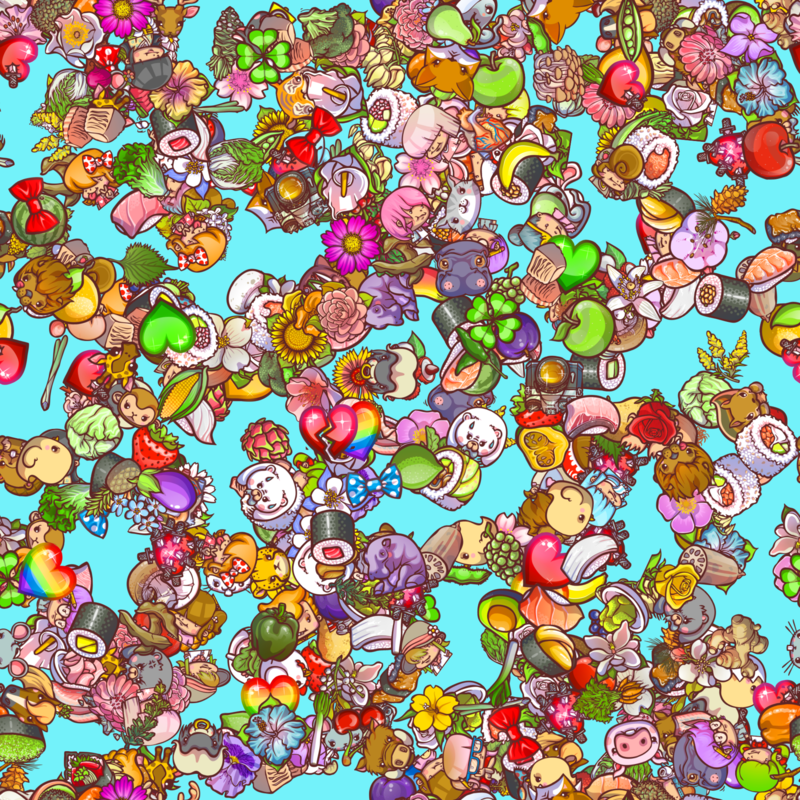 Enfusoft essentially creates certain types of patterns that traditionally take a really long time to create very quickly. There are other processes / programs / plugins that create a variety of different patterns, but none like Enfusoft. Enfusoft has 3 very unique subtools: GRID / PACK / TOSS. Surface & textile designers, video game artists, marketing art departments, production artists, web designers, illustrators, sculptors, fine artists, interior decorators, stationary developers, brush makers, teachers and students. A setup.exe which you'll download and run. License will be included in your purchase and you'll need to enter the license key upon start up. ASSET PACK: Sushi A :: 20 individual image assets you can use to build patterns with, or mix and match with other asset packs. TEXTURE PACK: Sushi :: 5 ready made tiling textures you can use as patterns. Just share, tag #Enfusoft, and start selling! ENFUSOFT is available for Windows, and you can run it on a Mac via Bootcamp, Parallels, or VMware Fusion. Your card will be charged US$70.